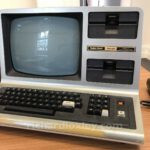 After my recent purchase of a Video Genie II, I also had a little look around other vintage computers on eBay. I’d always fancied a TRS-80, being the grown-up brother of our Video Genie, and having a superb design aesthetic (a 1970s view of the future). 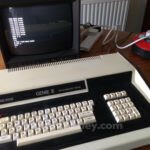 This entry was posted in Retro computing and tagged retro, TRS80 on 15 March 2017 by Richard. My first foray into computer programming happened in 1980 when I was 11 years old. My dad borrowed a ZX80 from a colleague over the autumn half term, and I taught myself to program by reverse engineering the examples in the manual (a skill I still use in my career today). My parents then decided to get the family a home computer, and after much research my dad decided to get an EACA Video Genie EG3003 (often known as the System 80 in other countries). 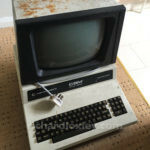 This was a clone of the Tandy/Radio Shack TRS-80 Model I Level II. If I remember correctly his main criteria were: full-sized typewriter keyboard, floating point BASIC, and quality of graphics (including a decent number of characters per line for word processing). We got it as a joint family Christmas present for Christmas 1980. 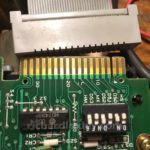 This entry was posted in Retro computing and tagged retro, videogenie on 1 March 2017 by Richard.